Today is the first day of December! We've already decorated the house and even better is, we've also marked quite a few things off our Gift List. What I haven't done yet is order our Christmas cards. I've heard so much about Minted.com that I headed over and browsed around a bit. You know I love the subway art styling of this card! Choose from three different shapes and three color combinations. Did you see that minted.com has extended their 20% Black Friday discount? That's right, through midnight tonight PST, you can order your cards, wait to upload your photo later if you still don't have the perfect pose picked out and still get the discount. This card is high on my list, too. I have the option to change the greeting to anything...even Happy New Year in case I don't get them out in time for Christmas. Nothing at all wrong with sharing New Year's greetings instead. Right? And how cute is that tag shape? I'd string mine with some baker's twine from The Twinery for sure. 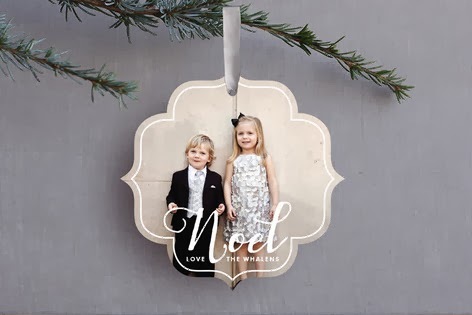 This shaped ornament card is so appealing to me because it does double duty. 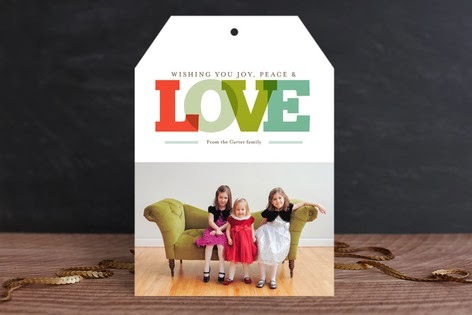 Sent as a holiday greeting, the recipient can choose to hang it on their tree year after year. Yep, love that! Do your Christmas ornaments have stories? Capture the special memories they hold for you and your family with this Holiday Memories mini album. NOTE | I was contacted by minted.com to review their products and will receive credit in return for my review. 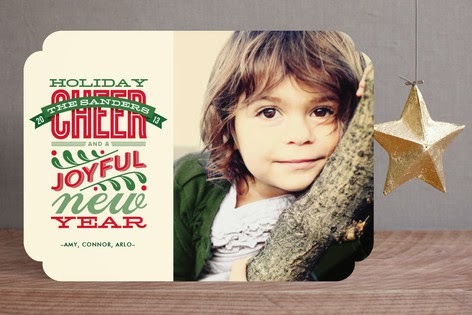 Honestly, I'm thrilled to have the opportunity to order our holiday cards from Minted as I've heard absolutely marvelous reviews about the quality of their products.